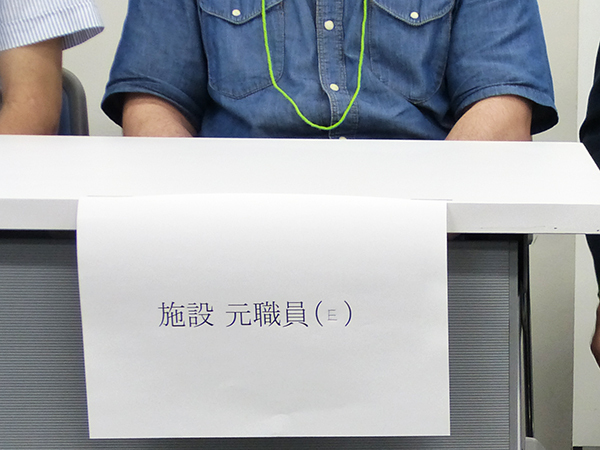 A press conference was held to inform the actual condition of “Hikikomori-Drawer” business or “violent supporting group”, on 22 May in Tokyo, and their victims talked about the unknown real situation. The direct chance to hold this press conference was made by the anonymous Victim, Ms. A. Despite she was not a hikikomori, she was violently drawn out of her room by the professional term of hikikomori-drawers, transported to an apartment called their “rehabilitation center”, and confined there for three months. The start was an argument between mother and daughter. The troubled mother searched the internet and called a “jack-of-all-trades”. She had a seven-hour interview there, and signed the contract. Shortly, eight staffs accompanied by the mother visited Ms. A’s room, broke the door chain, push her into car without informing destination, and took her away to their facility. She was monitored all the time. “I did not feel alive.” She says. She took up all her belongings, – mobile, wallet, identification card and so on. She was not given meals properly, and sometimes only one meal or two a day. She tried to escape and ran into the police station nearby, but the police just persuaded her to return to her facility. After three months later, she was able to return home, but her parents ended up with paying 5.7 million yen to the drawer company. However, what was done was far from something called support for her independence, so her parents decided to appeal with default to the court for the reason that they had not received any service contents for the amount paid. One of its backgrounds is that, it is difficult under the current legislation to prosecute such an incident as a criminal case. Also Mr. E came out for testimony at the conference. He had worked as a staff for a drawer company. When he was suffering from depression and went to job placement office, he found an offer paper, written “management of share house”, which he applied. In fact, it was a drawer’s staff. The job he was ordered there was to draw out the target person from his or her room on the determined “action day”, and to monitor for the target not to escape from the facility. He started to query himself whether he’s doing right things and asked his boss one day, “Should we not inform the target person in advance, about when we are going to draw him or her out?” His boss did not nod, saying, “If we had informed in advance, the target would just ran away”. Some of his colleagues started to have doubts, and tried to organize the workers’ union, but the manager promptly noticed it and they were fired one by one. Mr. E was also fired with a reason he could hardly accept. Now, he decided to change his position, and took his courage to become a whistleblower for the victims of drawer business that he had treated. 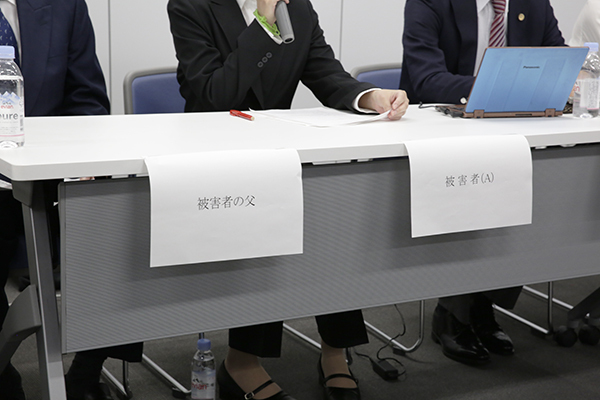 Other speakers attending this press conference were two other male victims of drawer business, Mr. Mochizuki (Ms.A’s lawyer), Dr. Saito (Psychiatrist familiar with hikikomori), Mr. Ikegami (journalist familiar with hikikomori), and Kimura Naohiro (Editor-in-chief of the Hikikomori News). Ms. A also needed tremendous courage to come out on this occasion. She says, “I could not get sleep because of post-traumatic stress disorder. I am scared to be retaliated after suing.” However, she thinks it over, “Who is the support for? Why are the supporter’s unilateral justice and money-making prior? We need a third-party organization to check whether every support is appropriate” and made up her mind to come out to this press conference in order to propose founding a network for supportees. In response to her plea, a preparation meeting was set up on this day to found a new network for victims of drawer business. We will continue to report the detailed information on this matter and the network for victims of drawer business continuously on our Hikikomori News.